Leslie Jones, star of the 2016 version that bombed big time, now has a couple of f-bombs for the new Ghostbusters 3 movie and even director Jason Reitman. Jones took to Twitter to curse out the announcement of Ghostbusters 3 and for some reason, even brought President Trump into the argument. "So insulting. Like f-ck us. We dint count. It’s like something trump would do. (Trump voice) 'Gonna redo ghostbusteeeeers, better with men, will be huge. Those women ain’t ghostbusteeeeers' ugh so annoying. Such a d-ck move. And I don’t give f-ck I’m saying something!!" Jones tweeted. Leslie Jones then followed it up with another tweet pointing her comments at "whovever was making it," which would be referring to Oscar-nominee director Jason Reitman, his father, the original Ghostbusters director Ivan Reitman, and I am assuming Dan Aykroyd is back as producer. "No I was referring to whoever was making it. Thanks for the love boo," Jones tweeted. Update: Leslie Jones has responded to the backlash surrounding her tweets. "It’s very sad that this is response I get. When the point is if they make this new one with all men and it does well which it will. It might feel that 'boys are better' it makes my heart drop. Maybe I could have use different words but I’m allowed to have my feelings just like them," she tweeted. 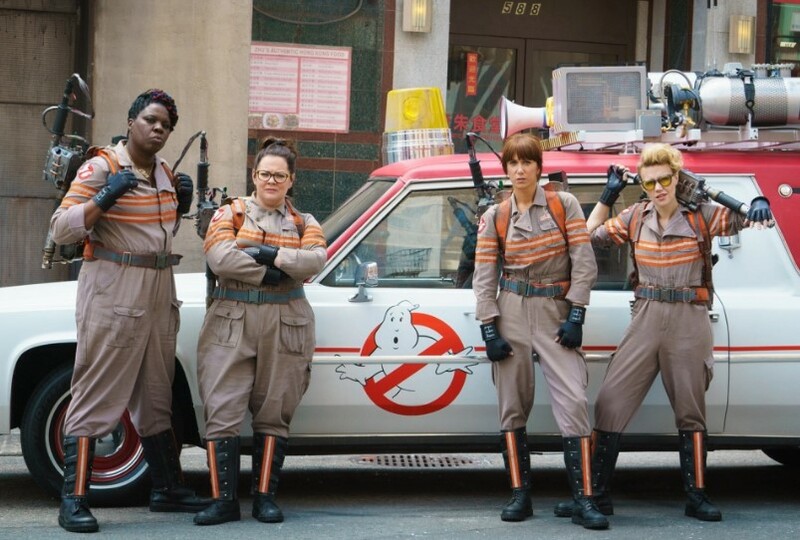 Sony attempted to reboot Ghostbusters in 2016 with an all-female cast that failed miserably as the movie lost money and only brought in $229 million worldwide. In addition to Leslie Jones, the film starred Kristen Wiig, Melissa McCarthy, and Kate McKinnon. At the time, the director of the movie, Paul Feig, even attacked fans prior to the release and called them a-holes, trolls and told them to go f' themselves. New director Jason Reitman has said Ghostbusters 3 is not a reboot and is set within the same universe as the original 1980s films. While not yet confirmed, the original cast is expected back in some capacity. Back in November of 2018, Dan Aykroyd first talked about the film.